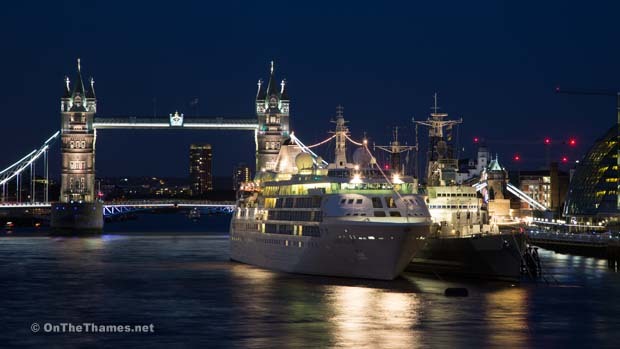 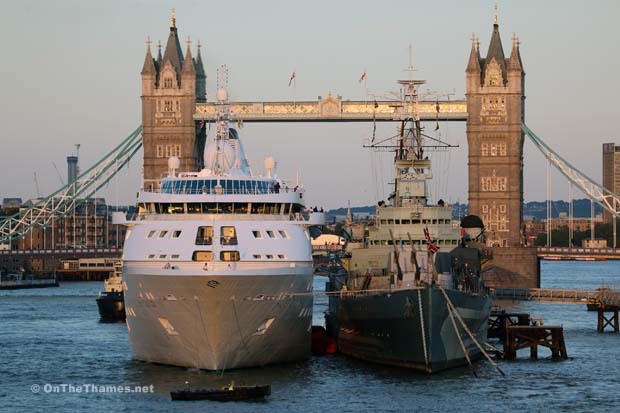 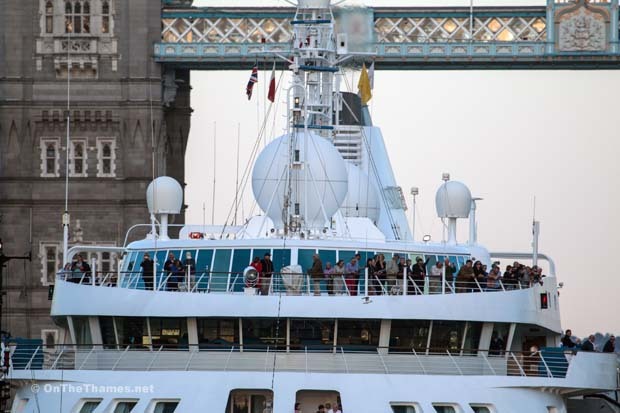 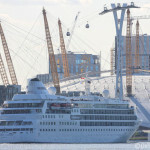 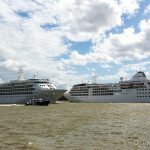 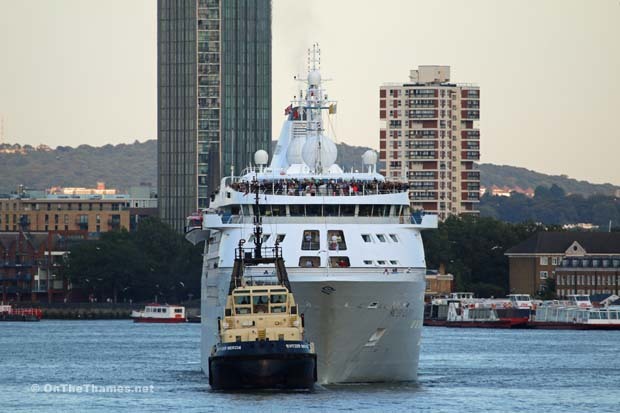 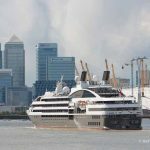 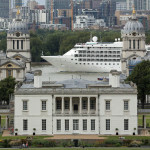 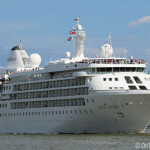 SILVER CLOUD arrived in London last night for a one-day visit. 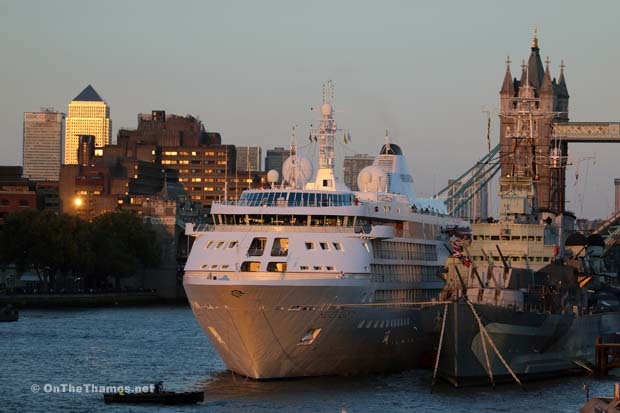 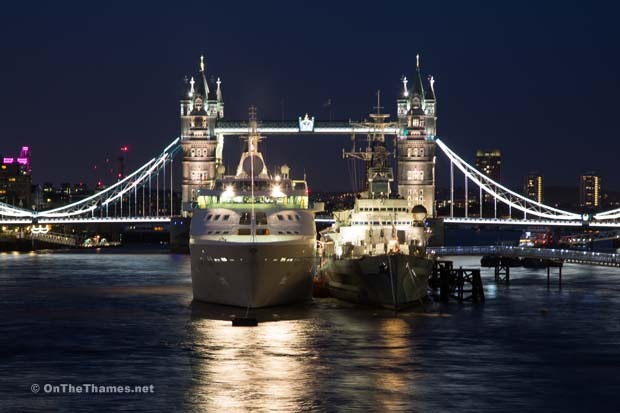 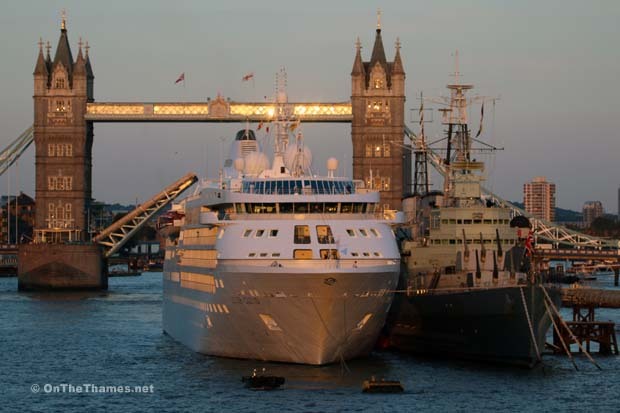 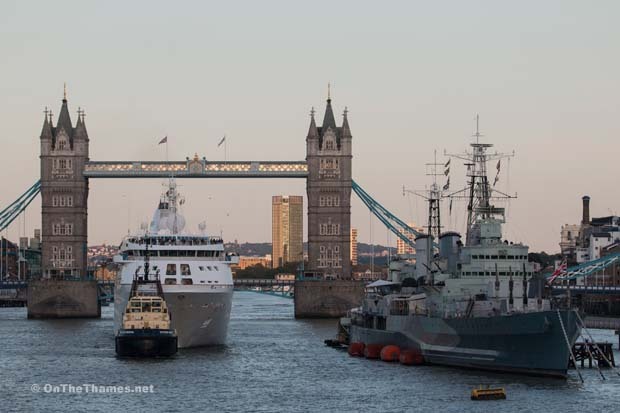 The Silverseas-owned vessel moored alongside HMS Belfast in the Upper Pool at about 8pm, basking in the last of the evening sun. 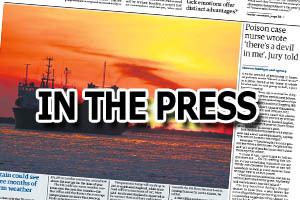 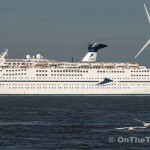 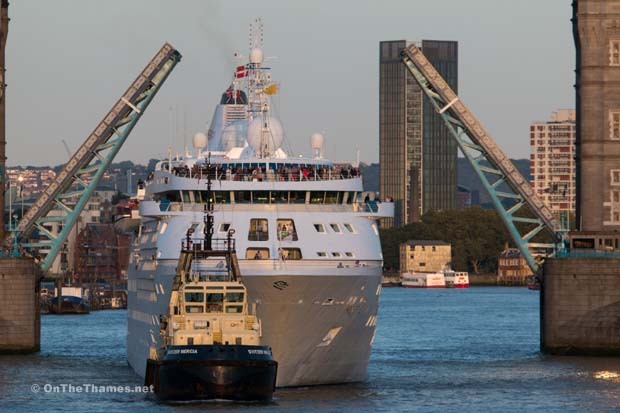 The 157-metre long cruise ship had set off from Stockholm eleven days earlier, calling at Estonia, Russia, Germany and the Netherlands en route. 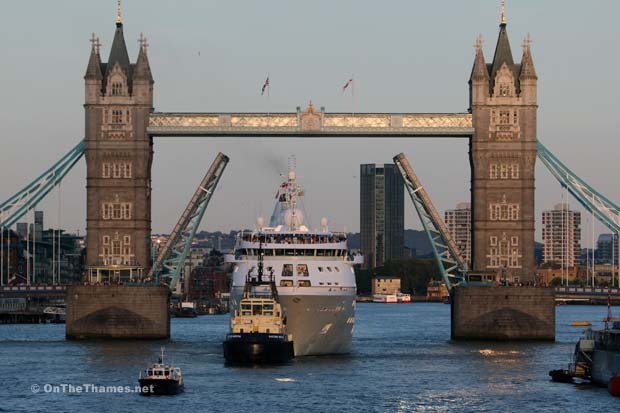 SILVER CLOUD departs the capital this evening, setting off on a nine day cruise to Reykjavik, Iceland, stopping at Leith, Kirkwall and then Denmark before reaching Iceland.